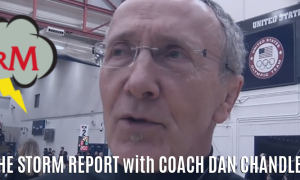 Welcome to the first-ever Storm Report featuring three-time Olympian and Minnesota coaching legend Dan Chandler. 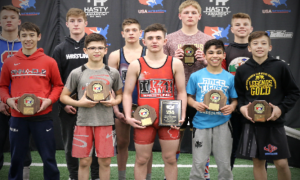 The unquestioned value the Minnesota Storm continues to bring United States Greco-Roman is made possible by the steady presence of Chandler, who throughout his Hall of Fame career has done it all, and just as importantly, seen it all. 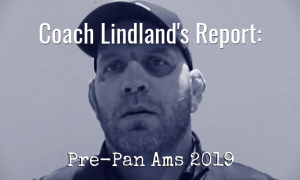 His leadership has not only served as the backbone for the most decorated Greco team in US history, but in the further development of elite World-level athletes, as well. 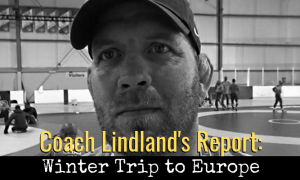 This initial — and very brief — conversation with Coach Chandler comes during a busy week. 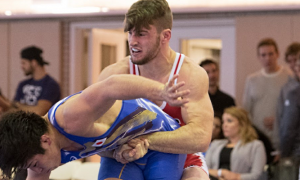 The 2019 Dave Schultz Memorial International, scheduled for Thursday and Friday at the US Olympic Training Center in Colorado Springs, means that it’s a chance for several Storm combatants to test themselves in domestic competition for the first time this season. 2014 University World silver/2017 Senior World Team member Patrick Smith (77 kg), Alec Ortiz (77 kg), Barrett Stanghill (87 kg), and sizzling prospect Eric Twohey (97 kg) are all set to take the mat at the event. After that, Coach Chandler and crew will be focusing on laying out the rest of the battle plan as the year progresses. 5PM: To start, can you provide a rundown of recent notable international performances? Coach Dan Chandler: Well you know, Pat Smith competed overseas in three tournaments and won a medal in each one. Eric Twohey won a silver medal at the tournament in Finland (Haavisto Cup). Both of them are going to be wrestling at the Schultz this week. 5PM: Are you traveling out there? DC: Yeah, some of our guys are already out there. Smith and (Alec) Ortiz are out there for the camp, and they along with Barrett Stanghill, Eric Twohey, and Carter Nielsen are all going to wrestle in it. 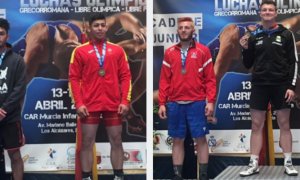 We have some Canadian guys training with us, and Joseph Dashou will also be competing. That’s the extent of our involvement. 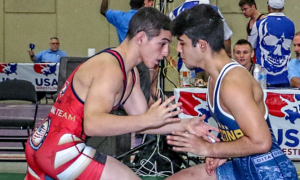 We are trying to get a few more guys to join the Storm and then firm up our international schedule at the Schultz Cup so we can see what USA Wrestling’s involvement is going to be at various tournaments. We’re going to try and take a look at it so we can see what everyone’s availability is. 5PM: Is that the full roster as of right now? Coach Dan Chandler: No, Calvin Germinaro is not going to wrestle at the Schultz, Christian Rouleau is not going to wrestle in it. We don’t have a heavyweight and we are very lacking in smaller weight classes right now. I think Skyler Petry is going to start training with us once the college season is over. Follow the Minnesota Storm on Twitter, Instagram, and their team domain for updates on events and the athletes.